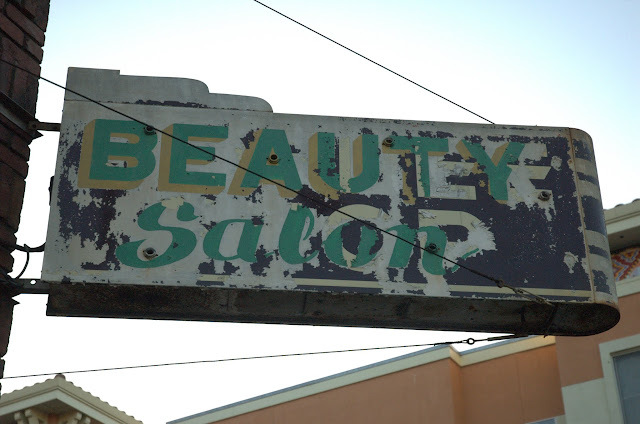 Spotted this faded sign when I went to the Manos de Oro Gallery opening last weekend. It's clearly been hanging for a while. My brain keeps merging the various titles, resulting in beautee slop.